Over 10K daily active users! Try the “Sleeper” Alarm Clock Series for a different alarm clock experience. 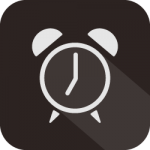 The alarm clock series (listed below) released by Hanbunco Co. Ltd. (headquarters: Japan) for Apple’s mobile devices with over 10,000 active daily users. [ System Requirements ] iPhone, iPad, and iPod touch. Requires iOS 6.0 or later. 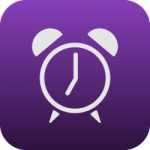 Unlike other alarm clock apps, the “Sleeper” Alarm Clock Series has the feature to play soothing sounds such as: Beach, Train, Rain, Bonfire, Stormy Night, White Noise, etc. Just what you need to quickly fall asleep! The apps in this series are available for free from Apple’s App Store. Anyone who has an iPhone/iPad/iPod touch with iOS 6 or higher can download them and give them a try.